Abide by the No Touch List: Many Homeowners like to garden and work on their own paradise. Often, they don't want a certain shrub pruned or perhaps there are special plants that are off-limits. The crew comes and completely disregards the request. It's not always their fault! No Touch Lists provided by the Property Manager are designed to be all-inclusive. Either work is done at the unit, or no work is done. It is very hard for crews to remember (or Account Managers to notate) exact specifications at every home in a 200-unit association. Ideally a Property Manager will explain to the board that the best solution is to allow work to be done, or accept the responsibility of maintaining the entire landscape. The crew then knows that unit 934 is a no touch! Schedule walk-thrus with your Account Manager Everyone knows spring happens. It comes every year like clockwork. It's critical to schedule a walk thru with your contractor sooner than later. Some of the benefits include seeing the site through a horticulturist's eyes, discussing and partnering on solutions and communicating outcomes and scope of work. After all, relationships are built by people (not by emailed work orders). The best solution for a Property Manager is to get to know your Account Manager and use them as your trusted advisor. Have all communication directed to the management company or board a.k.a leave the crew alone: The #1 trusted advisor to a homeowner in an HOA should be their Property Manager or Board. These should be the liaisons in charge of communication between the homeowners and the contractor (usually the Account Manager). It becomes difficult (and can become a legal mess) if everyone in an Association is "in charge." It confuses the crews if homeowners are directing them (and can eventually lead to higher contract fees). 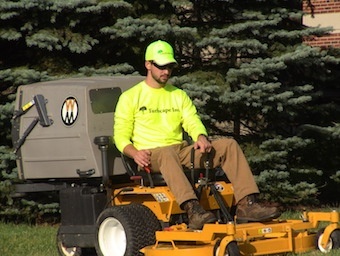 The best solution is to educate the homeowners to follow the prescribed channels of communication which allows the grounds maintenance company to make sure things are done according to the scope of the contract. Budget for a master plan or plant palette plan: Landscapes have a life cycle, just like all living things. Diseases set in, or a face lift is needed. As a Property Manager, it is much better to present a cohesive, uniform landscape at a board meeting rather than replacing plants willy-nilly. A master plan considers site conditions, maintenance costs and property values. If this is not feasible, consider a plant palette. This is simply a selection of plants that would be acceptable to introduce to the landscape as plants are replaced. This prevents a "plant zoo" which simply is not appealing. The best solution is to decide on the future, after all "the best time to plant a tree was 20 years ago."